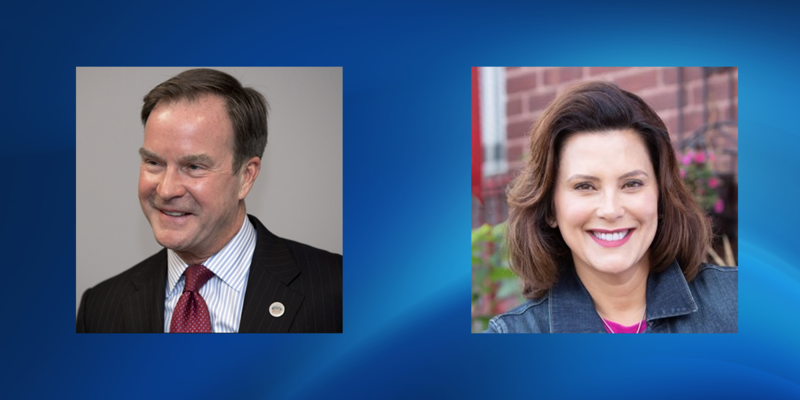 Schuette has more support from business groups, while Whitmer has the backing of labor unions. Two presidents have entered the fray, with sitting President Donald Trump endorsing Schuette and former President Barack Obama pulling for Whitmer. See who’s supporting both major-party candidates, with just days to go until Michigan residents go to the polls Nov. 6. Endorsements are just like opinions that are just like certain body parts that everyone has. We need voters to concentrate less on what others are telling them to do, and concentrate more on learning for themselves what a candidate has done. In this case, past performance is a good indicator of future actions. Thanks for the list. I think the list shows that, as many know, that endorsements are almost 100% based on party affiliations. Is it a shock unions support Democrats? Or Right To Life supports a Republican? How much value do endorsements really have these days? I understand riding a wave and coat tails, but do endorsements matter? I think that Schuette is not a good candidate; but, I hope he will be a good governor, if elected. I believe that Whitmer would be a return to the days of Granholm, only worse. One oversight in identifying organizations supporting Gretchen Whitmer is that every environmental organizations that does endorsements have endorsed her for governor. The Sierra Club, Michigan League of Conservation Voters and Clean Water Action have all wholeheartedly endorsed Gretchen Whitmer. See the Sierra Club's position here: https://www.sierraclubendorsed.org. Didn't see Debbie Stabenow's name as a Whitmer supporter. Was that purposeful or accidental? What a pathetic waste of anyone's time to produce this article(? ), and the next 2 following. As if there's any surprises? There's got to be better things to look into for an article(s). When Ted Nugent endorses you, that’s not a feather in your cap. Yup. Just another draft dodger, racist endorsement. Funny how many there are for Trump and Schuette. Says something, doesn't it? It's the friends you keep. With friends like those, who needs enemies?